Last Minute French Beer Class! JUST got a call from Cambridge Center for Adult Ed asking me to teach a three-part class on French Beer, starting tomorrow, Thursday, Jan 17, from 8-10pm. (Someone backed out last minute- yay!) Of course I said yes! (See all posts in this blog under “France” to see why.) 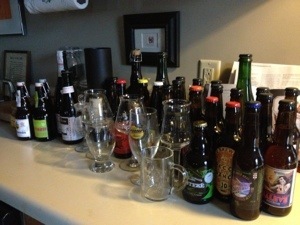 There are a few spots left- join the class to try some beer I brought back that’s not available here! PS- It will not be in French as they originally planned. My French is getting better, but it’s not that good!